Team Black Rose Racing from Finland made a guest appearance at the first Baltic Endurance Championship event in Riga in Spring of 2017, finishing second in the A3000 class with their BMW E36 323i. In 2018, the team came back to fight for the title. They beat their opponents, winning 3 out of 4 races and clinching the Baltic Endurance Championship title. We talked with one of the team members Tuomas Halonen the team before the coming season for wich Black Rose Racing have prepared a surprise. 1. 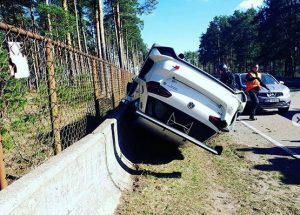 In Finland, there is a popular and competitive endurance series where you used to race. Why did you decide to switch to BEC for 2018 season? – We just ended our season 2017 and thinking what next. Before our Finnish Endurance Season started, we raced in Dewalt GP 2017 and we had fun and a great race. So we decided to move to BEC series because we like to drive new racetracks and the series was interesting. Our car was fast and reliable in Finnish series so actually, we didn’t make any big changes. Biggest modification was a larger fuel tank and adjustments in chassis for slicks. 2. Last season you earned the championship title in A3000 class. But it seems you won’t stop there and you want to fight for the overall win and in the TCR class. Tell us more about your new car for the 2019 season? And what will happen to the old car? – TCR community is growing and we looked at the pace and competition overall during the season and it was something that we want to achieve. We now have a new VW Golf GTI TCR, while our BMW is for sale at the moment. 3. 2018 turned out to be a very competitive season where the overall winner was unclear until the last corner. 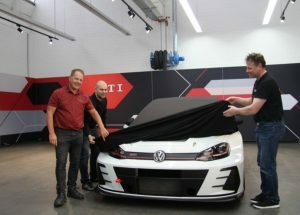 And 2019 so far seems will be even more competitive with new TCR and GT cars joining in. What are your plans/aims for 2019? And what will be the key to success to fight for podiums and wins? – We have a new TCR car and a lot to learn. It will be an interesting year with a lot of learning curve for our drivers and mechanics, so our main goal at first is to get a clean season and get all working smoothly on track and in pits. We will adjust our goals during the season. – It is pretty similar. Maybe the atmosphere is something to do with motorsport in general over the world. The feeling is that we are very welcome to BEC and it is of course why we continue in this series. Very professional and passionate people involved in this series and it is nice to be a part of this growing competition. 5. How long is your trip from your base to Riga or Parnu? Is it much longer than going too far away tracks in Finland? – Distance is almost the same or closer then to some of the tracks from us in Finland so that is not a problem. 6. Tell us more about Black Rose Racing? – Toni Virtanen is one of the original members and he is the one who established the team in 2001. After that, drivers have change during the years and the team has raced in different series – Finnish Endurance cup, BMW Xtreme, Touring Car open series, rally and VLN endurance races at the legendary Nürburgring Nordschleife. 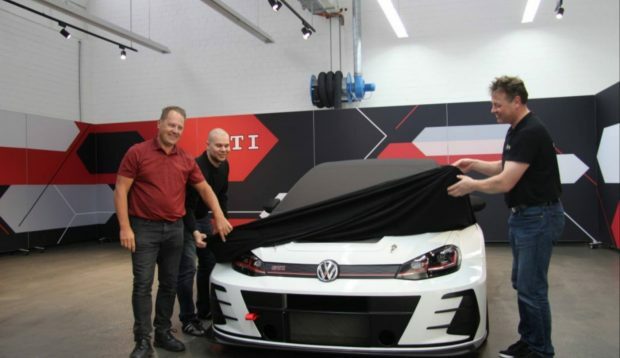 2019 team drivers are Vesa Kinnunen, Tuomas Halonen, and Toni Virtanen. The lineup is the same as the last season. – About the team name, Toni once told that one thing that influenced team name is Blue Rose rally team from the 70s where among the other Finnish legends Leo Kinnunen raced in the rally. Another thing was our team livery and it was black, and we kept the same color to every car after that. – Toni Virtanen and Sauli Rasilainen raced in BMW Xtreme series in 2008 and 2010. After some good fights in BMX Xtreme series, Tuomas Halonen jumped from another team to Black Rose Racing for endurance races in 2010. After that, the team moved to a couple of races in VLN series in Germany and Finnish Touring Car series. 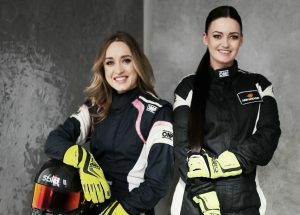 – In 2015, two new drivers joined the Black Rose Racing team, Vesa Kinnunen and Jim Rautiainen. We built the car for Finnish Endurance cup, had some great races and our best result was 3rd place in the championship 2015 and 2016. In 2018, Tuomas, Toni, and Vesa decided to move to BEC series. Jim Rautiainen is now driving Porsche GT3 in his own team WR Racing. 7. Racing isn’t possible without sponsors. Who will you say thanks to? – It has been a long trip to this point and we have many good sponsors and people around us and we would like to thank everyone who has supported us over the years!